Quick summary: This is a homework activity. In this activity students will investigate the types and amounts of rubbish that they and their family produce over the course of one day. Students will use the worksheet to record their results and will share their results with the class. Activity adapted from Activate Your Students: An inquiry-based learning approach to sustainability. Students learn that even over one day a family can produce quite a lot of waste. 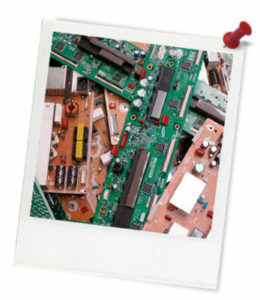 Students recognise that much of the waste produced by their families can be recycled and saved from going to landfill. Syllabus Outcomes: MA3-10MG, MA3-18SP, ST3-4WS. Level of teacher scaffolding: Low – lead students in a class discussion on the results. Resources required: Copy of worksheet for each students, and each student will also need 6 containers and/or plastic bags to use at home and a set of kitchen or bathroom scales. Digital learning opportunities: Digital sharing capabilities. Homework and extension opportunities: This is a homework activity. Safety: Students develop family safety code. Keywords: Waste, recycling, disposal, family, home. Overarching learning goal: In this activity students will investigate the types and amounts of rubbish that they and their family produce over the course of one day. Students will use the worksheet to record their results and will share their results with the class. 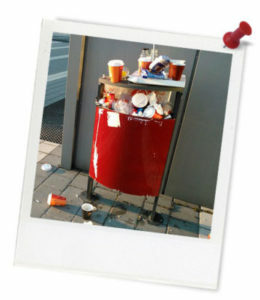 Hot tips: Students will need to carry out much of this activity at home, looking at the types and amount of waste produced by their family over one day. They will then need to bring the data from their home waste investigation into the classroom for analysis. Step 1. Explain to the class that this is a homework activity in which the students will investigate the types and amounts of waste that they and their families produce over the course of one day. Thought starter: Who makes the most waste in your family? Develop a family safety code to make sure you and your family stay safe when handling waste (there are some tips for developing a family safety code at the end of this worksheet). Set up six containers or plastic bags at home that are suitable for collecting different types of waste (glass, metal, paper and cardboard, plastic, organic matter, other). Weigh the six plastic bags and their bins and write the weights in the table. Ask each of your family members to place all their rubbish into the correct bins over the course of the day. At the end of the day, weigh the six plastic bags and their bins again (with their contents) and write these weights in the table below. To calculate the weight of each type of waste, subtract the number in column 2 from the number in column 3.